We finished this Lunch Bunch Project just before break, but I have not been able to post until now. We made these these little books for each student. I told each student to pass around their envelopes. The person who received the envelope was told to take out a note card and was instructed to write a note of kindness to the person who's envelope they had received. When the student finished writing their notes, the envelope was passed to the next member until each person wrote a note for everyone in our group. The kids certainly did a lot of writing, and for my group of 25, this took almost 3 lunch periods to finish. To keep track of who wrote a note, the kids put their names on the back of each envelope they finished. 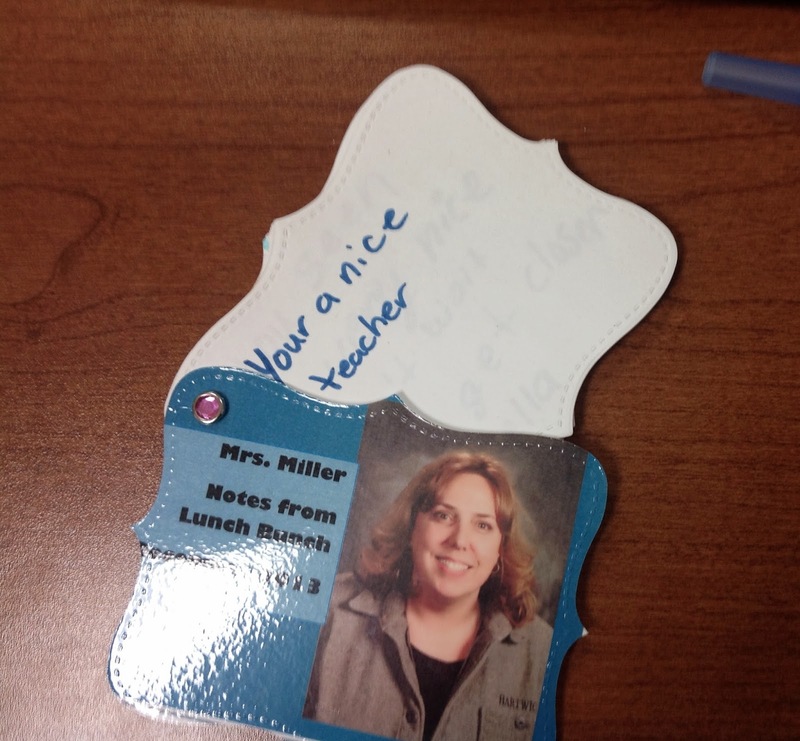 This really helped to make sure that every student wrote a note for each person. As for the kids, it was a surprise what was being written about them until the finished product was handed back to them. As they were writing, I called each student up and took their photo. I then printed each one out and laminated it. I also used my Big Shot and cutting die to cut the photo so it would become our cover. (You could easily do this project without a Big Shot by just cutting copy paper into 4ths. Instead of a scalloped page book, it would be square.) A small hole punch in the corners and a brad fastener holds the book together. This was the quietest my lunch bunches have ever been. 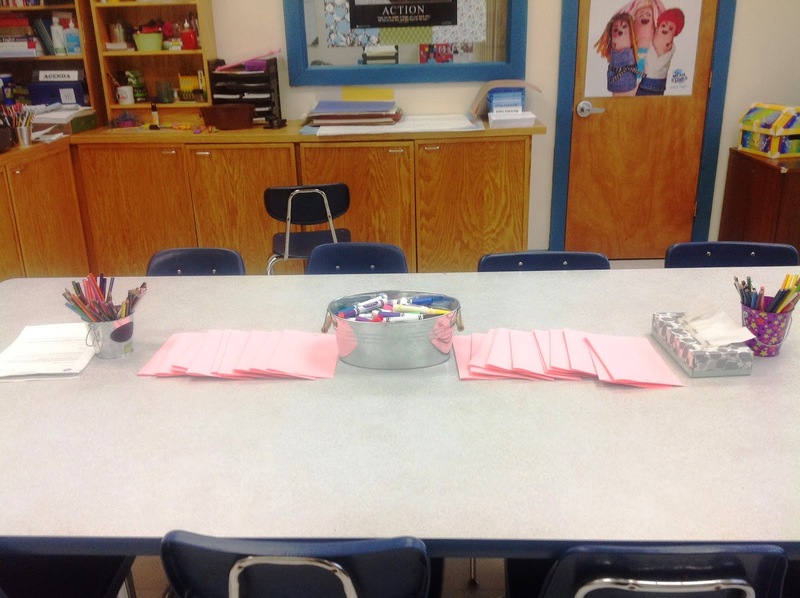 It was so quiet as they concentrated about what to write, and it was quiet as each student read their book when it was finally handed back to them. I really enjoyed this project. It was suspenseful, and was appreciated by the recipient. I would definitely rate this as a "do it again" project. 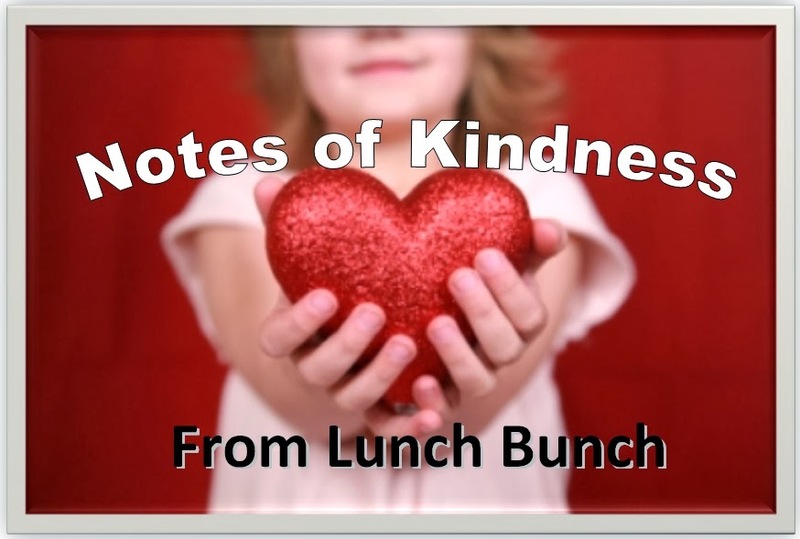 I have been gearing up to do a lunch bunch- I am so glad I found your blog with so many awesome ideas!! Thank you so much for sharing!